Tight half-micron carbon block with lead reduction and cyst (Giardia, Cryptosporidium) removal. Rated for 6,000 gallons of chlorine removal. 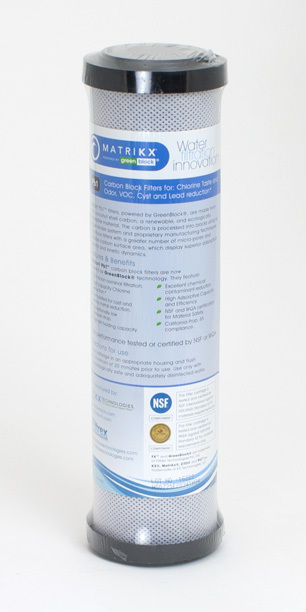 Excellent as a stand-alone filter or in multi-cartridge systems.